Описание: Старенькая, проверенная временем Кембриджская серия практических пособий на развитие вокабуляра английского языка. Состоит из 6 книг, для разных уровней владения. В каждом пособии 40 лексических уроков с упражнениями и тестами. English Vocabulary in Practice will help to put the fun back into vocabulary learning! 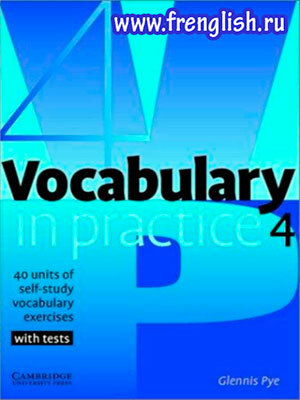 Vocabulary in Practice contains 40 units of vocabulary exercises. There are also regular tests after every 10 units to review progress. This book is designed for busy people to use outside of the classroom. The exercises are quick to do and students can check their answers immediately. The vocabulary is arranged by topic and the test units ensure that the vocabulary is recycled. 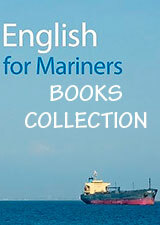 At the back of the book there are useful word lists with notes and help on pronunciation. All the words have been chosen using the Cambridge International Corpus to ensure that the most important words students will need are included.